Illinois, New Jersey, and New York were the top states in the nation for outbound moves in 2017, according to data from United Van Lines. United Van Lines, which tracks state-to-state migration patterns, found that Illinois was the top state for outbound migration with 63 percent of moves going out of state. "The Northeast continues to experience a moving deficit with New Jersey (63 percent outbound), New York (61 percent) and Connecticut (57 percent) making the list of top outbound states for the third consecutive year," the report states. "Massachusetts (56 percent) also joined the top outbound list this year." The other states that led the nation for the highest outbound migration were Kansas, Ohio, Kentucky, Utah, and Wisconsin. The 10 states with the highest inbound migration were Vermont, Oregon, Idaho, Nevada, South Dakota, Washington, South Carolina, North Carolina, Colorado, and Alabama. The data find that more Americans are moving to the Mountain West and the South. "As a region, the Mountain West continues to increase in popularity with 54 percent of moves being inbound," the report states. 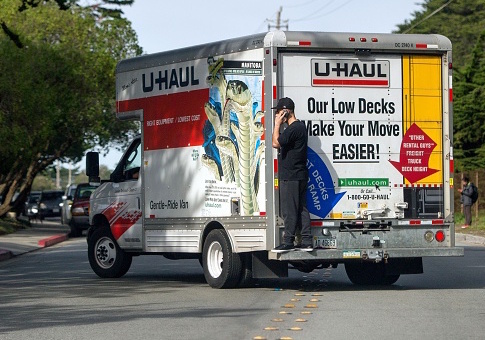 "The southern states also saw a high number of people moving in with 52 percent of total moves being inbound." "This year's data reflect longer-term trends of movement to the western and southern states, especially to those where housing costs are relatively lower, climates are more temperate and job growth has been at or above the national average, among other factors," said Michael Stoll, economist and professor in the Luskin School of Public Affairs at the University of California, Los Angeles. "We're also seeing continued migration to the Pacific Northwest and Mountain West as young professionals and retirees leave California." According to the Tax Foundation, there is a relationship between taxes and migration. "Individuals move for a variety of factors," the group states. "Climate, job opportunities, family, among others, impact the decision to relocate. Taxes can influence the decision too." "Tax rates and structure affect a state’s economy; states with less burdensome tax structures and lower rates tend to have better economic growth," the foundation explains. "Increased job opportunities can result from the better economic growth." "Someone moving to Chicago for a new job could decide to live in Illinois or commute from Indiana," the group says. "Indiana's 3.3 percent individual income tax rate could be an encouragement to locate in that state over Illinois' 3.75 percent rate. An individual moving to the Washington, D.C., area could decide to live in Virginia instead of the District because income taxes are lower."